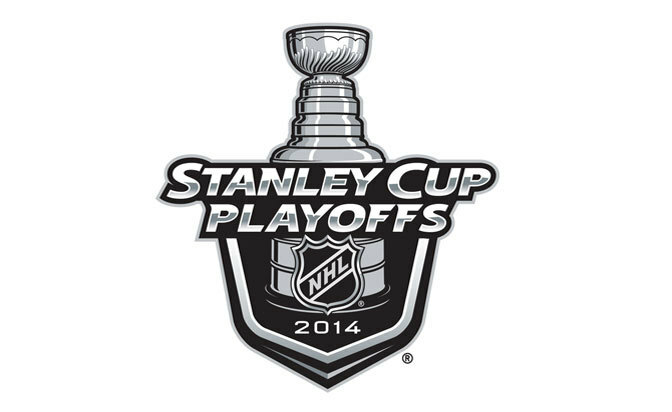 We have to admit, the first round of the 2014 NHL playoffs was pretty darn exciting. Let’s see how the second round stacks up. Victoria: Blackhawks in 4. Hawks have had some rest. Wild fought tooth and nail for 7 games. Wild will be tired and aren’t as strong a force as the Hawks to begin with. Matt: Blackhawks in 5. The Wild are simply outmatched and outclassed by the defending champions at every position. Ryan Suter will likely be matched against some combination of Jonathan Toews and/or Patrick Kane, but Chicago’s immense depth up front will allow them to break through the Minnesota defense. Chris: Blackhawks in 4. While I got a few of the series wrong in the first round, there was no way on this green Earth that I thought the Wild would beat the Avs. Their luck will run out against a fired up Blackhawks squad. J.J.: Blackhawks in 6. The Wild were a lot scrappier than expected in their first round series against the Avs. Duncan Keith and Brent Seabrook will put an end to that. Clay: Blackhawks in 5. They look unbeatable right now. But I’ll give the Wild one of their home games. Chicago is too talented top to bottom. Delia: Blackhawks in 5. The Blackhawks have too much talent to fall to the Wild. They’ll definitely finish them off early. Victoria: Kings in 6. Because once you reverse sweep, you can do anything. Matt: Ducks in 7. The Kings are the hottest team in the league right now based off their four straight victories against the Sharks, but the Ducks are want to prove their the toast of California. I may be going out on a limb here, but I like the Anaheim forward unit better than the Los Angeles defence and goaltending. Chris: Ducks in 6. Because Victoria says Kings in 6. On a more serious note, the Ducks showed what they needed to do to get the job done against a spunky Stars team. And while the Kings themselves faced adversity and beat the daylights out of it, it took some serious energy to do that. J.J.: Kings in 7. I hate picking the Kings, but after starting the playoffs about a week later than everyone else (and spotting the Sharks a 3-0 series lead), they’re clicking right now. Clay: Kings in 7. The Kings are just as hot as the Blackhawks and have certainly been there before. The layoff likely helped Getzlaf heal a bit but it won’t be enough. Delia: Ducks in 6. The Ducks finished the regular season with a 4-0-1 record against the Kings, and I’m sure they can keep their winning ways going during the playoffs. Victoria: Habs in 7. Because I have to believe that hard work and skilled players can trump bully tactics and cheap antics. I have to believe it. Matt: Bruins in 6. Ah, rivalries renewed. There may not be a winner when the smoke clears in this one because the two teams are likely to kill each other, but the Canadiens have a little motivation and extra animosity working in their favour, enough to give the Bruins a bumpy ride at least. Chris: Habs in 6. I picked Boston last round and there ain’t no way I’ll do it this time around. Some advice for Montreal though – Il ne faut pas vendre la peau de l’ours avant de l’avoir tué. J.J.: Habs in 7. Buck Foston. Clay: Bruins in 7. Montreal is slowly gaining the country’s affection, and they can certainly win if 2 things happen: Price outplays Rask, and the Canadien forwards are able to escape pounding from the Bruins. Not sure if both of those things can happen over a 7-game series. Delia: Bruins in 7. The Bruins are a strong and dangerous team. Sure the Canadiens have Price, but the Bruins have Rask, and in my opinion, Rask is by far the better goaltender. Victoria: Penguins in 7. Crosby, Malkin, Kunitz and Neal are a lot of fire power. Rangers have don’t have that depth of scoring. The only reason this will probably go 7 is because Marc Andre Fleury will screw up. Matt: Penguins in 6. Once again, the Penguins chances hinge on the shaky shoulders of Marc-Andre Fleury, which will lead to their downfall in at least one game against the Rangers. But I don’t like New York’s chances of containing the Crosby-Malkin duo, which is on the verge of breaking out of their long funk. Chris: Rangers in 6. The darkest timeline. THE DARKEST TIMELINE! And MAF. ’nuff said. J.J.: Penguins in 7. One team has a lot of firepower up front, but has a goalie who seems to be having problems stopping the puck in the playoffs. The other team has a good goalie, but can’t score. It goes against conventional thinking, but I’m picking the team that can score. Clay: Penguins in 6. I have a gut feeling that Fleury will have a strong series in trying to match the goalie at the other end. He’ll do enough to help the Penguins get through. Delia: Rangers in 7. In my opinion, the Penguins are overrated. The Rangers are the more well-rounded team. 3 picked the Ducks, 3 picked the Kings. May the best team win!